Preston, Minn. — 9/6/18 — The State of Minnesota has extended the deadline for local contributions for the future State Veterans Home that is to be built in Preston. The City of Preston is now asking for donations to be submitted by September 25th, 2018. All donated funds will be matched 2:1 by the Federal Government. 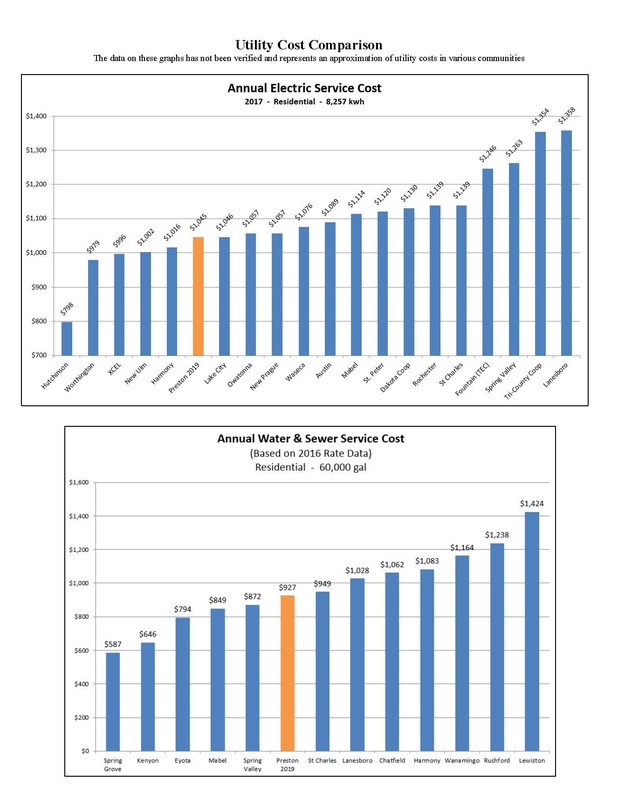 To date, more than $180,000 in local contributions have been raised for the project. These funds will be used to set the project budget and will guide the facility design process. Funds collected after this deadline will still be matched by the Federal Government until February but they will not be factored in to the design plans of the facility. While the hope is to build a 72-bed home, the local donations made now will dictate the size and amenities of the facility. The Preston Veterans Home Committee would like to thank everyone who has supported this regional project for our Veterans. Veterans from 15 counties in the region will have the benefit of having a facility in Southeast Minnesota. The proposed Veterans Home will have 72 beds and will be the first and only Veterans Home in Southeastern Minnesota. 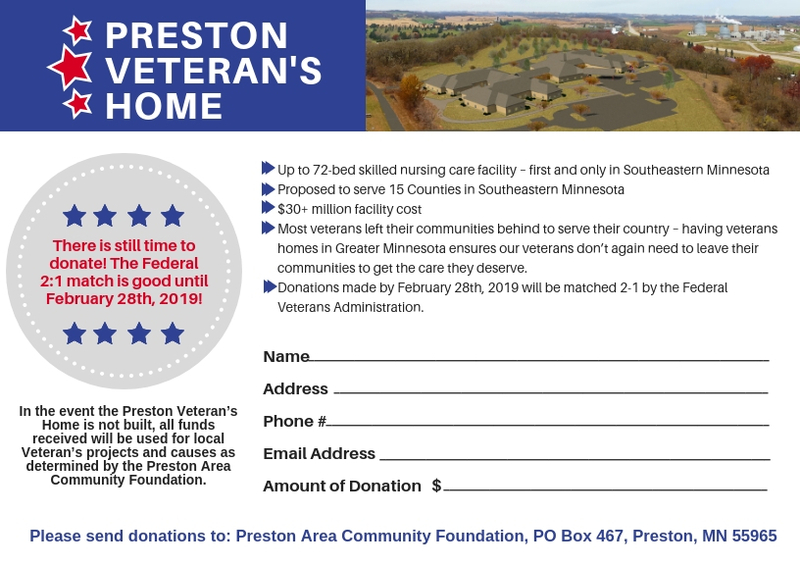 If you are interested in donating to the Preston Veterans Home you can visit www.prestonmn.org/veterans-home to download a donation card or they are available at F&M Community Bank in Preston and Preston City Hall. All donations can be sent to the Preston Area Community Foundation, PO Box 467, Preston, MN 55965 or they may be dropped off at F&M Community Bank in Preston.